We all work hard, and we’re always looking for additional ways to make money. Extra income is certainly helpful during our working years, but it’s especially essential after retirement — when every dollar coming in and going out needs to be more carefully managed. While we’d love to have extra money coming in, this doesn’t mean that we want to create additional work or stress in doing so. The quest for easy ways to generate income has led many people into passive real estate investment. 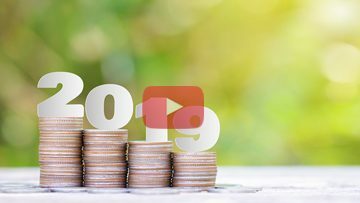 It’s an excellent strategy to build a base of long-term wealth to be used in the future, as well as to generate an income flow you can utilize right away. What Is Passive Real Estate Investment? For those who are new to the term, let’s first outline the difference between an active real estate investment and a passive real estate investment. With active real estate investing (as the name implies), you’re actively involved in every aspect of the deal. You locate potential properties, purchase them, and then either flip and sell them, or rent them out, become a landlord, and manage the properties yourself. Some active real estate investors purchase land, build houses, and sell the properties. Passive real estate investment is a different story. After purchasing the property, you hire a property management company to handle the actual rental itself. They’ll manage all aspects of running the business, from marketing and finding/interviewing tenants to handling maintenance, repairs, problems, and evictions. This allows you to generate income without having to be actively involved in the day-to-day running of your real estate investments. Creating a passive real estate investment portfolio doesn’t happen overnight, however: it requires a bit of planning and due diligence on your part. First, you’ll want to develop a real estate investment plan. This will involve setting goals and deciding things such as whether you want to spend time and money fixing up a property before you rent it or purchase a turnkey property that’s rental-ready on day one. You’ll also want to research the various types of rental properties (single-family home? condo? townhouse? apartment complex? ), as well as determine what location works best to help you achieve your goals. After you decide what type of property you’d like to purchase and narrow down a location, you’ll need to make a list of properties that interest you. For each one, you’ll need to conduct a real estate market analysis to determine what the property is worth, as well as to determine how much rent it can generate on a monthly basis. For a passive real estate investment, it’s essential that the numbers make sense. Depending on your goals, this may mean simply generating enough income to cover expenses as the property appreciates in value, or it may mean generating a profit if you’re hoping to live off of the income created by your passive real estate investments. Looking at these numbers in a clear-headed fashion is essential; it’s important not to let emotion get in the way of making a good business decision. With the numbers in front of you, you’ll be able to narrow down your list and choose the best property. If passive real estate investment is your goal, you’ll need to hire a good property management company to keep things running for you. There are a lot of choices out there, but there are very specific factors to look for before choosing a property manager. One key factor in finding an excellent property management company is looking for one that’s established and has years of experience in the area where your rental is located. Your goal is to find a company that has integrity, that gets the job done in an effective manner, and that will be successful in keeping your property rented out. They should be upfront and transparent about how they handle all aspects of managing your property, from handing rental payments to choosing contractors to do repair work. They should also be willing to provide you with information on all of their services and fees, where they advertise their properties, as well as their average vacancy rate. Once you’ve put these two pieces of the puzzle together — finding the perfect property and then hiring an experienced property management company to rent it out and maintain it — you’ll be well on your way to building a passive real estate investment portfolio that has the potential to generate wealth for the rest of your life.